I am using the new vim liquid dish wash to clean the utensils. And I want to share my opinion about using this liquid dish wash.
clean the utensils before I use the Vim liquid dish wash and I was also satisfied of the detergent powder. But my mother recommended me to use the Vim liquid dish wash and that is why I wanted to try it. After using the Vim I can say that I am satisfied to the great extent. 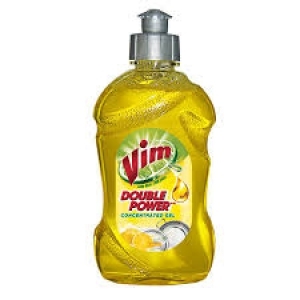 I don’t even need to rub the greasy utensils for a longer time now as the Vim liquid dish wash is very effective and it cleans the dirty very easily without using much manpower. The cost of this liquid dish wash is also not much. Now I am only using the Vim liquid dish wash to clean the utensils at my home and I recommend this product for all the housewives.